DOCTOR WHO - The Audio Adventures Of The Third Doctor | Warped Factor - Words in the Key of Geek. Guest contributor Matthew Kresal looks at whether or not the third Doctor has a future in new Big Finish audio stories. From the view at these particular space/time coordinates, the third Doctor audios seem to be caught in limbo. This past December saw The Mega being the first, last and only third Doctor Lost Story while the soon to be ending range of Companion Chronicles will see its final third Doctor story released in May. While Big Finish have announced a new range, The Early Adventures, that will continue the adventures of the first two Doctors and the other Doctors continuing on in full cast adventures, nothing has been announced in regards to the third Doctor outside of unspecific “We do have future plans,” comments made by Big Finish. So fans are left asking the question of whether or not the third Doctor has a future on audio? Part of the problem is the sad fact that the last couple of years has increasingly limited the number of surviving actors and actresses from the era. 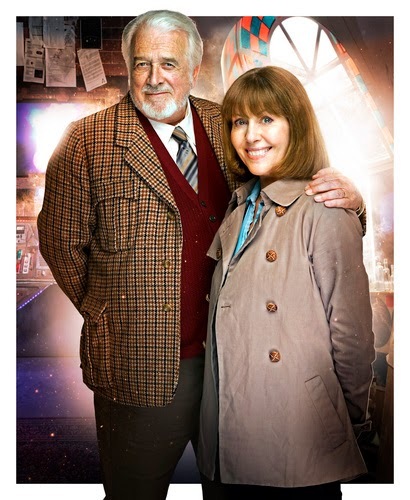 Nicholas Courtney's death in February 2011, followed in April by Elisabeth Sladen robbed the series of two of its best loved performers who had both acted in the 1990s BBC Radio third Doctor stories and with Courtney having recorded only a single Companion Chronicle before his passing. The passing of Caroline John the following year took away one of the era's most versatile performers whose efforts were highlights of the Companion Chronicles range. As a consequence, the number of lead characters from the era has become increasingly limited. Options are even more limited by the fact that John Levene, based on his reported comments at numerous convention appearances, appears unwilling to work with Big Finish again following his experience recording the Companion Chronicle Council Of War. This leaves only Katy Manning (Jo Grant) and Richard Franklin (Captain Mike Yates), the only performers from the era who are still with us working with Big Finish. The problem is obvious. Unlike the first or second Doctor eras where multiple companions are still with us and can allow stories set across different parts of their era, the third Doctor is limited to one set of characters. Sort of reinventing a new companion or two who could be brought in to replace either Manning or Franklin from time to time, there's not much else that can be done it seems outside of the “enhanced audiobook” format used previously. 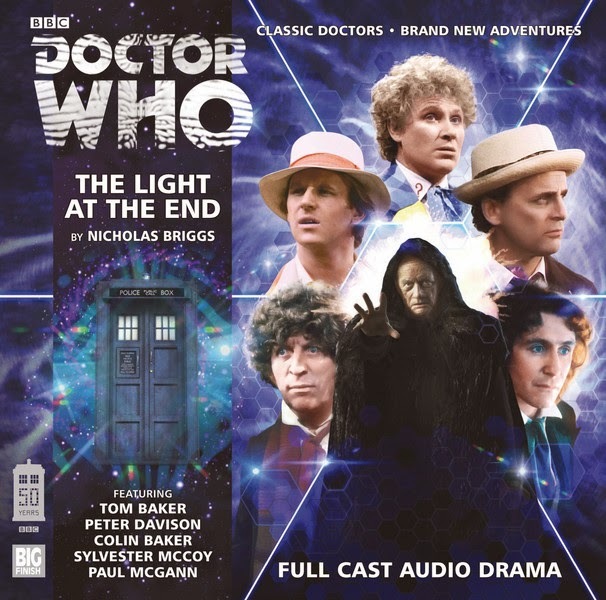 Which brings us to Big Finish's fiftieth anniversary story The Light At The End. For that story, and as a way of bringing all eight of the Doctor's Big Finish can use, the first three Doctors were recast. The first two were played by actors who had proven themselves in the Companion Chronicles range: William Russell and Frazer Hines. To play the third Doctor, writer/director Nicholas Briggs cast actor Tim Treloar whose other Big Finish appearances include Lord Jack Corrigan in their first Tom Baker story Destination: Nerva. It seems likely that Big Finish recast here as a way of testing the waters in regards to the possibility of further stories. So, could this be a way of possibly doing future third Doctor audios? Personally, I'm not convinced it is. Of the three recast Doctors, Treloar was for me the weakest. While Russell may not have Hartnell's voice, he captures his nuances and Hines' take on Patrick Troughton can be downright uncanny at times. Treloar captures neither Pertwee's voice or his nuisances and at times is hardly recognizable as the third Doctor. While I certainly grant that it's possible that Treloar could improve with future performances, I'm not certain how much room for improvement there actually is. For that matter, the idea of recasting Doctors and companions that are no longer with us continues to be a decisive issue with fans. Go to the Big Finish section of any of the major Doctor Who forums and you can see passionate debate both for and against the idea. Even Big Finish's recent recasting of actors in their reconstructions of missing episodes of The Avengers has been met with controversy in some circles, with some being satisfied with it for missing episodes but being unsure about the same idea being carried over into possible new Avengers audios. The parallel with Doctor Who, and especially the third Doctor era, is striking. Matthew Kresal lives in North Alabama where he's a nerd, doesn't have a southern accent and isn't a Republican. He's a host of both the Big Finish centric Stories From The Vortex podcast and the 20mb Doctor Who Podcast. You can read more of his writing at his blog and at The Terrible Zodin fanzine amongst other places.